Test every car coming in on the ramp. Every third car breakdown is caused by the battery. 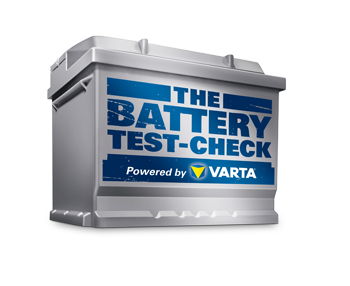 With the VARTA® Battery Test-Check program, you may detect a defective battery before it fails. You and your customers will profit from the test. Register your workshop now. It is free! Why Is Testing Batteries a Great Idea? Find out how you could support your customers — it’s just a matter of minutes. 1. 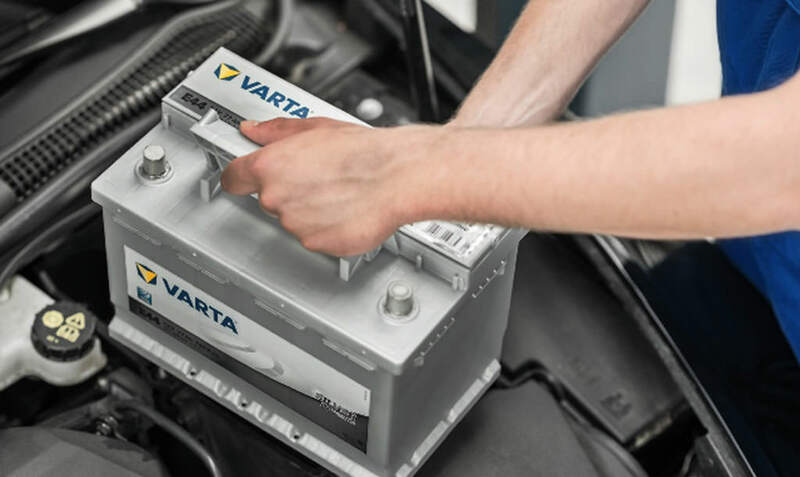 Offer the FREE VARTA® BATTERY TEST-CHECK to all customers coming in for a regular checkup. 2. The test only takes a few minutes. 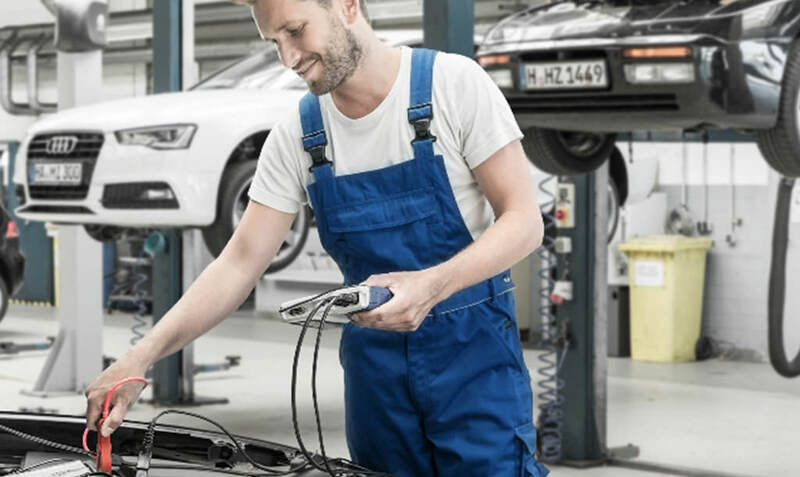 All you need is a battery tester. 3. A detailed test result on the rearview mirror documents the procedure and displays the result. 4. 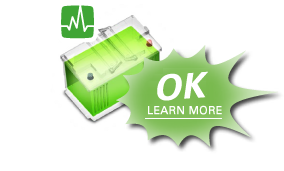 If the diagnosis detects a weak battery, recommend immediate replacement. 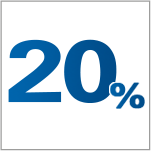 Remember, 80% of all customers follow your recommendation! 5. 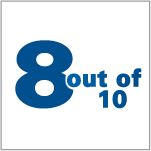 Satisfied customer: Your customers feel well-advised and rely on a properly functioning battery. 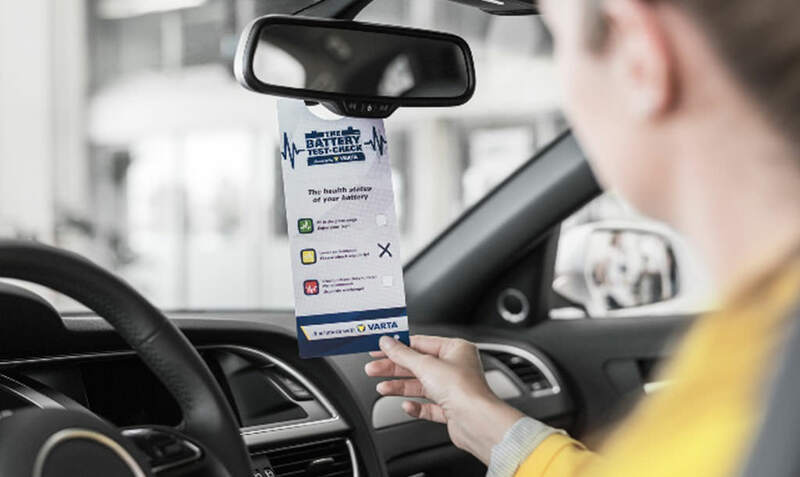 By testing every battery that comes to your workshop, you'll help detect a defective battery before it fails! 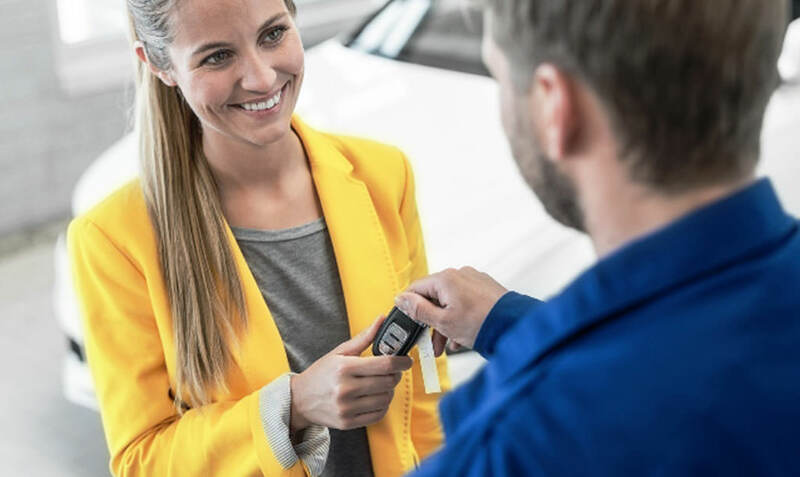 Provide great service – and share it. 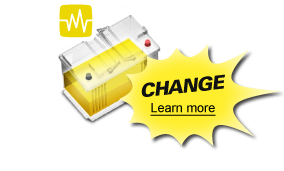 Not every battery needs immediate replacement, as your customers will be pleased to hear. By sharing a detailed test result, you will gain their trust and motivate them to re-check again regularly. The test result shows your battery is in good condition. Just make sure you check it again before the seasons change. The test result says "good/recharge.” Your battery’s performance is starting to decline. It will fail soon. We recommend replacing the battery now. 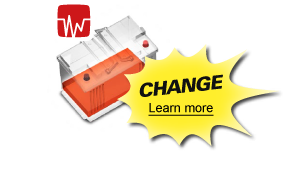 The plate surface reactability is significantly reduced. Weak charge acceptance- charging to 100% SoC is difficult. The test result says "replace,” because your vehicle needs more than 12 V for a reliable start. It should be changed today to make sure the car starts properly.